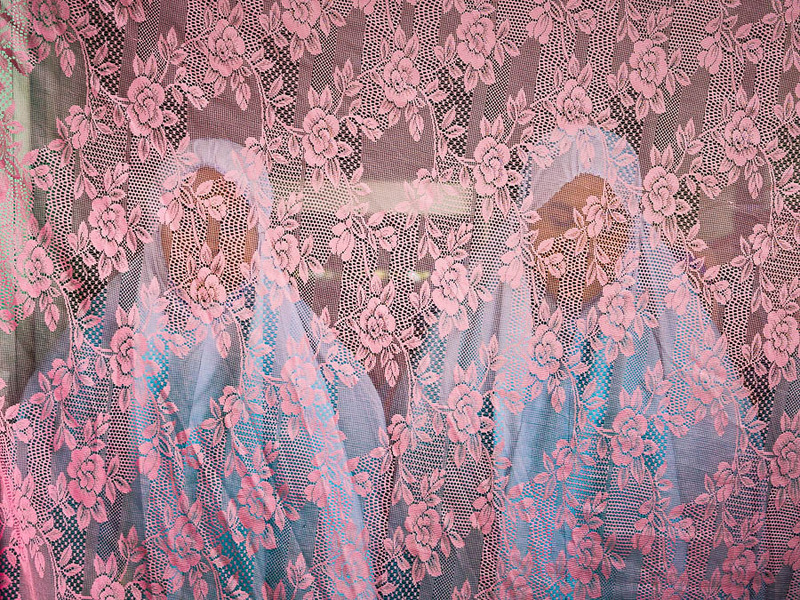 Women pray during Eid services at Bang Luang Mosque in the Thonburi section of Bangkok. 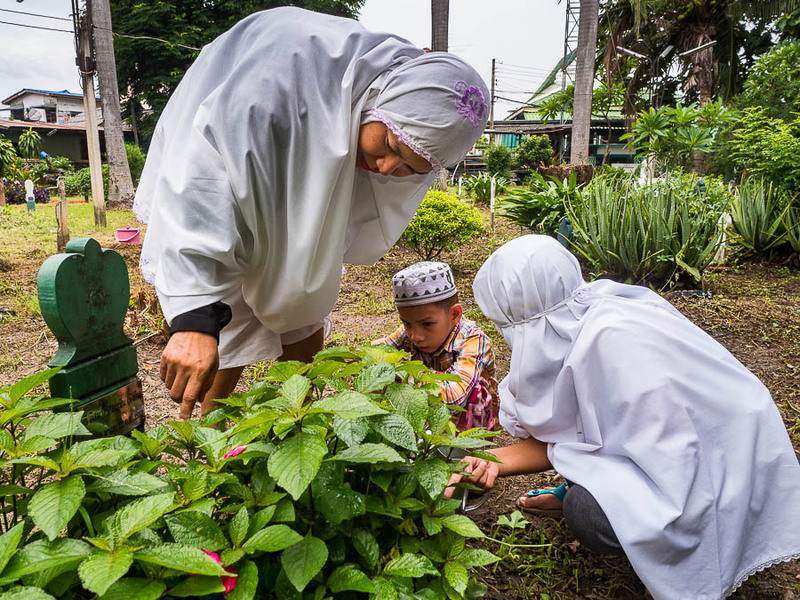 Thai Muslims celebrated Eid al Fitr Wednesday. It's the holy day that marks the end of Ramadan, the month of fasting. It's one of the most important holy days in Islam. Eid observances are held on the first day of the Islamic month of Shawwal, it's the one day of the year that observant Muslims are not allowed to fast. The holiday celebrates the conclusion of the 29 or 30 days of dawn-to-sunset fasting during the entire month of Ramadan. Eid is celebrated on different days in different countries and the actual day is based on the siting of the new moon. I've covered Eid services in Phoenix, AZ, and Thailand. 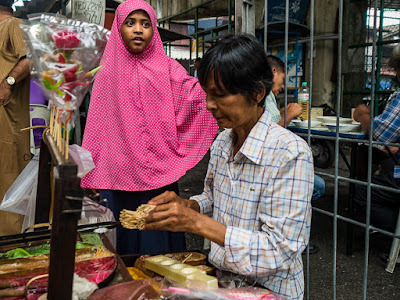 A girl buys candy from a vendor at Ton Son Mosque. In Phoenix, it's more of a community wide event. Mosques and Muslim organizations get together and rent a large venue, like the Glendale Civic Center, and people come from across the metro area to celebrate the day. It's not unusual to have more than 3,000 people at a service. In Bangkok, each mosque hosts their own Eid services. The services are smaller but they're held all over town. 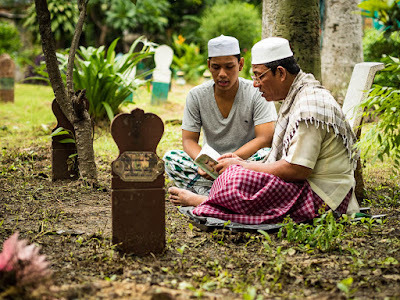 Men pray at Ton Son Mosque. And at Bang Luang Mosque. Bang Luang Mosque is about 500-600 meters from Ton Son Mosque, I walked over to Bang Luang as soon as the service at Ton Son ended. 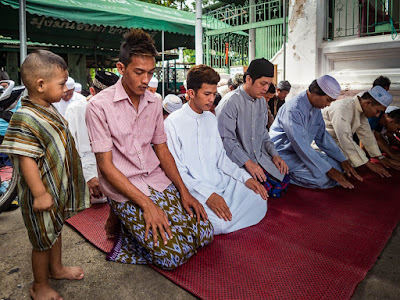 In the past I've photographed Eid at Haroon Mosque, a lovely historic mosque in central Bangkok. Haroon Mosque was established by Javanese (Indonesian) traders in the early 19th century. 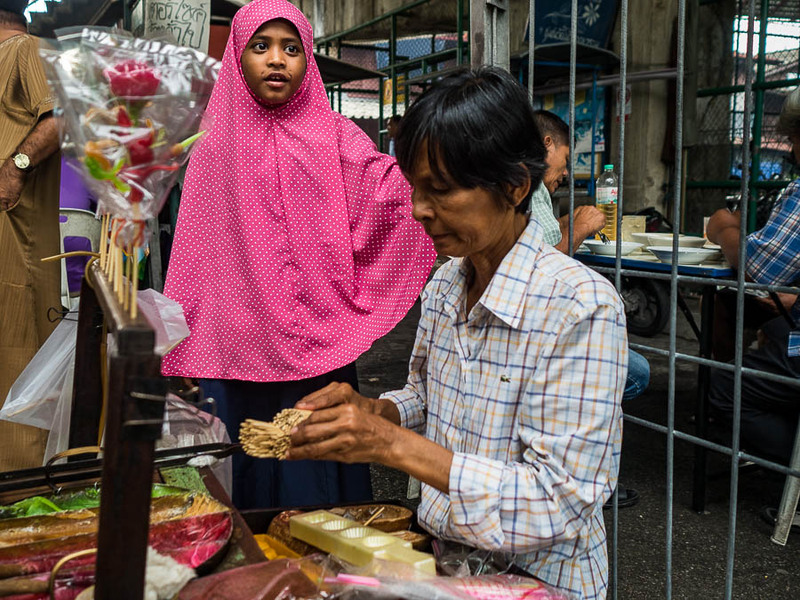 It's still popular with Muslim travelers in Bangkok - many of the people who go there are from Indonesia, Myanmar, India and Africa. This year I wanted to photograph a more Thai celebration of Eid, so I went to Ton Son and Bang Luang mosques. (It helps that they're so close to each other that I can walk from one to the other in a few minutes time.) 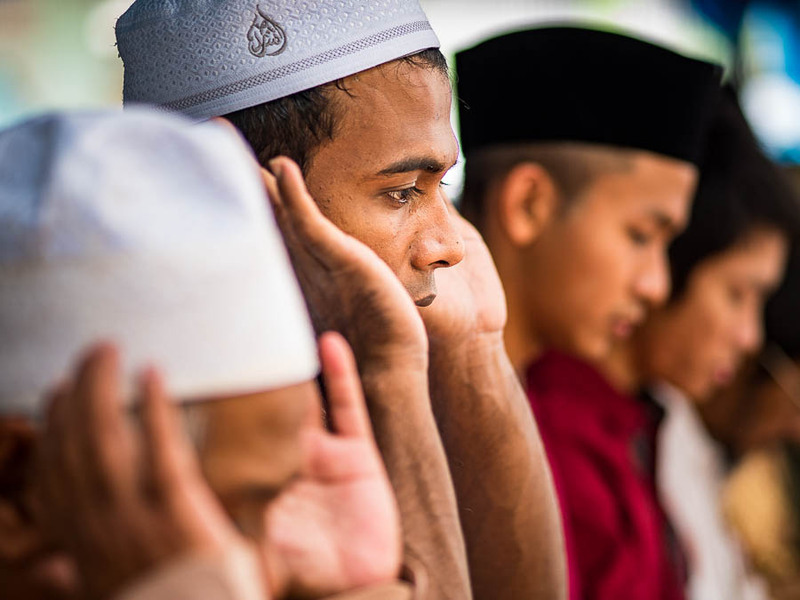 Both are primarily Thai mosques in Bangkok neighborhoods with a long history of diversity. There are large Buddhist temples near both mosques and one of Bangkok's first Catholic churches is less than a kilometer from Bang Luang Mosque. 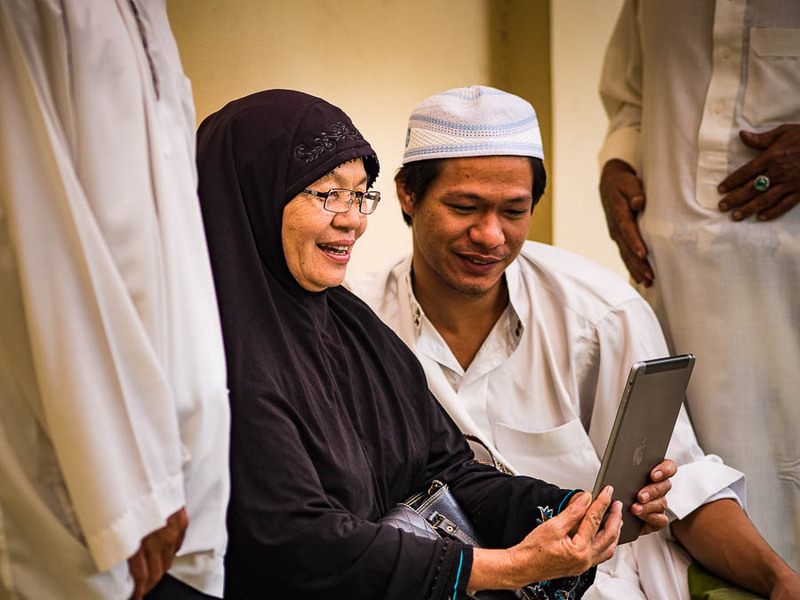 At Ton Son Mosque, people look at family photos on an iPad. I enjoy working in this part of Bangkok. There's a great vibe and while some tourists pass through the neighborhoods, most of them do just that. They pass through. If you take the time to engage with people in the neighborhood they will inevitably invite you in for a meal. I was offered meals at both Ton Son and Bang Luang Mosques. I accepted the invitation at Bang Luang and the meal was delicious. 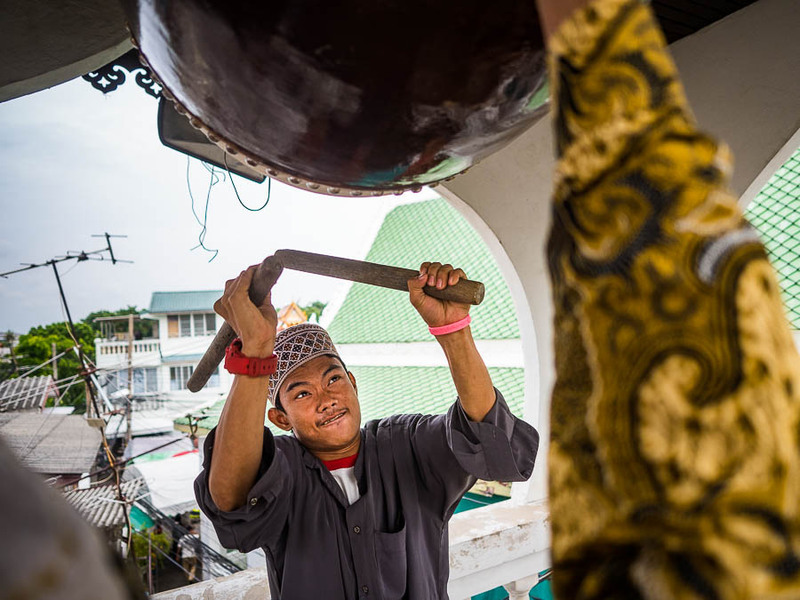 At Bang Luang Mosque, men went to the rooftop of a home next to the mosque and pounded on a drum to announce the end of Ramadan. I had a great chicken curry and some fruit. We had a bit of language gap because I don't speak Thai but that didn't stop people from trying to chat with me. The fact that I'm not a Muslim was not an issue for any of the people I photographed or visited with. It was a great morning, not only for the photographs I made but also because of the neighborliness and hospitality people extended to me. At Bang Luang Mosque a family visits the cemetery behind the mosque. It's a tradition on holy days for families to visit local cemeteries and tend to the graves of loved ones. Also at Bang Luang, men pray in the cemetery. There are cemeteries attached to both Ton Son and Bang Luang Mosques. 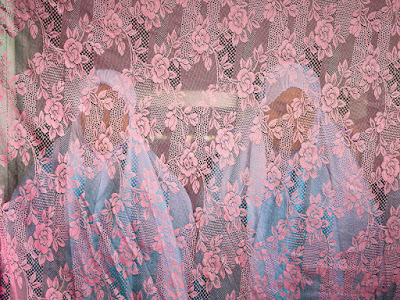 There are more photos of Eid in my archive or available from ZUMA Press.